Those who have heard that word before know it comes from the character Zeb Orrelios who is on the fantastic series Star Wars: Rebels on Disney XD. The man behind that voice is Steve Blum, who is one of the most talented actors in the business. Some of his other credits include Spike Spiegel from Cowboy Bebop, Wolverine from different X-Men shows and video games, Green Goblin from the Spectacular Spiderman series, and Grunt from Mass Effect 2 and 3. 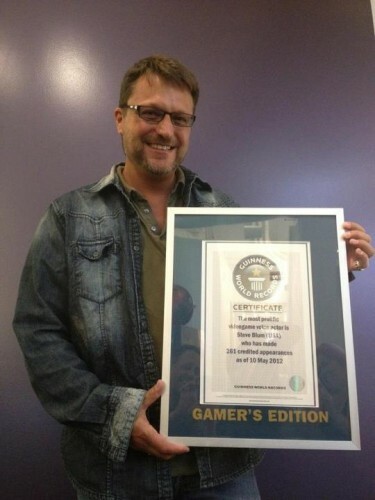 In 2012, Steve was inducted into the Guinness Book of World records as Most Prolific Voice Actor in Video Games. I had the great fortune to chat with Steve about Star Wars: Rebels, voice acting, and fatherhood. I loved Steve’s take on fatherhood and I am guessing you will too! Art Eddy: It is a pleasure to chat with you. I am a huge fan of your work. 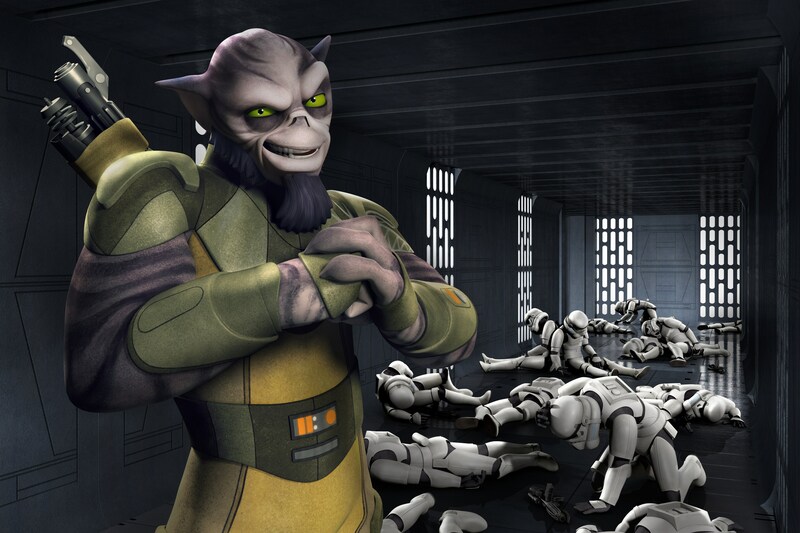 Let’s first talk about your role on the hit show Star Wars Rebels. For those who don’t know you play Garazeb “Zeb” Orrelios. Love your take on him. How did you go about creating the voice for Zeb? 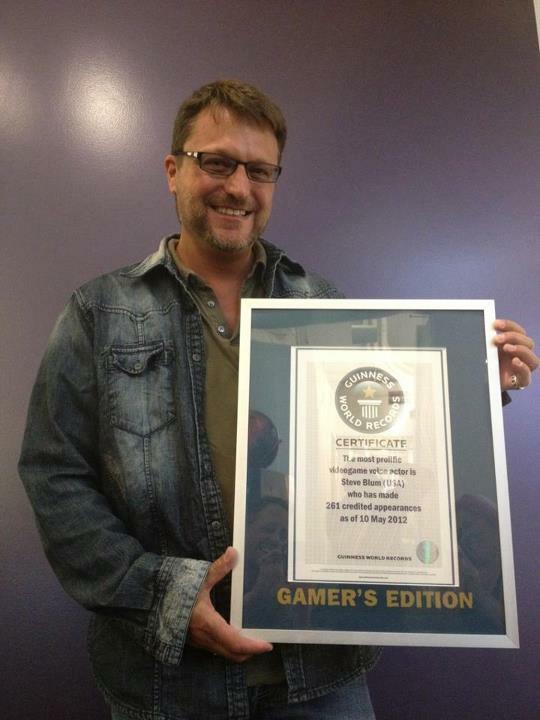 Steve Blum: Thanks for having me! I had a lot of help on it. Certainly the team was integral in how the voice ultimately fleshed out. I generally go from an organic place. If I have a luxury of seeing a model of the character, it will usually influence my choice. It’s sort of a knee jerk reaction that stems from my early days growing up in a comic book store. Voices have always occurred in my head when I read and after years of working in voiceover, I’m usually able to translate that into something usable. So that’s where I start and build from there with the guidance of the show creators. I didn’t know it was Star Wars in the beginning either. I don’t know if it influenced it as much as it could have had I known that information before. It was probably better that they kept me in the dark. They gave me a basic character description and I formulated and spit out the first thing that popped into my head. It was pretty similar to where Zeb ended up except it started as an almost unintelligible cockney accent. We played with it. We threw sort of an Australian flavor in it and landed on a fun amalgam of several different things. It turned out to be basically just a bad UK accent. I apologize to all my friends in the UK. But hey, he’s from another planet, right? AE: You work with a great cast and crew. As a voice actor I am guessing it helps to have a great chemistry with the other cast members. What do you do to create that chemistry with the rest of the cast to make sure that translates to the finished product in the episodes we as fans enjoy each week? Do you record the show with your fellow cast members? SB: Fortunately we are in the room at the same time on most records. That alone adds to the chemistry naturally. As far as building chemistry, I don’t think that’s something that you can artificially create. It just happens. It’s simply a great room of personalities that all get along really well. These guys are like family to me – on both sides of the glass! I have to give credit to the genius of good casting. I think they take into account how we all approach the material and there seems to be a high level of care when making casting choices. Plus we are all Star Wars fans! That in itself is a serious bonding factor. Anytime that I get to work on a Star Wars project I think everybody goes to their eight year old fan girl squeee place. That’s where it all starts. We all love this show so much. We love the whole franchise. If there wasn’t a sense of chemistry there, it would be a problem. I’m just grateful that it is a wonderful, warm group of insanely talented people that all love what we do. AE: Going back to what you said about being an eight year old kid. How cool was it to see Zeb as an action figure as well as a character in the Disney Infinity video game? SB: I had to go out and buy them as quickly as possible. (Both laugh.) That part of me will never die. I’m in my 50’s now and I have a huge collection of action figures. Those are some of my most prized ones. I love that I have characters in the Star Wars universe. It takes me to a happy place when I see them on the shelf. AE: For me, Zeb from the pilot to now has always been a very interesting character. Are you enjoying the evolution of his character, especially in one of the most recent episodes called Legends of the Lasat? SB: I’m loving the evolution of Zeb! I’d been wondering like everyone else – what his background was and what he was capable of, and how many dimensions there were to this guy. To see it fleshed out in this way is beyond any expectation I had. Any time I get to explore layers of a character, it’s incredibly fulfilling. It makes them real and challenges me as an actor to use that information to render a more complete performance. And it’s one of those rare shows where they make exquisite use of every nuance we give them. AE: When did you know that you wanted to become a voice actor? At what age did you start your journey into the world of voice acting? SB: (Laughs.) That is a very good question. I don’t know when that happened. It was something that I’ve been doing since I was very young. Long before I even considered the possibility of this as a career, I did voices just for fun – and also for my own protection! I was bullied as a kid. Because I had a deeper voice than a lot of kids my age, I was able to use that to keep myself from getting beaten up. I had no idea that it would eventually transform into a career. I didn’t know that until I was 40 years old! I had been doing Anime at that point for maybe 10 years on the side, while I had an entirely different career going. I’d been working in the film industry for 14 years and had earned an upper level position in marketing. I didn’t like the politics of it and how people were treated. The voiceover thing was just something I did for fun. It never actually paid the bills. But then I booked a 7-11 commercial and thought it was my chance to get out and do what I love. So I quit the job at the studio. Two weeks later the union went on strike and I had no gig and three kids to support. I lived on credit cards for a year and a half and worked three other jobs to make ends meet. It was the best decision that I ever made. It was what I was meant to do. I had been doing it my whole life anyway and I’ve always had a strong work ethic, which this job definitely requires. Now it’s something that I actually get paid for, working with people I love and respect. It’s the best of all possible worlds. AE: You do a ton of voice work for video games, animated series, and so much more. How long does it take you to craft a voice for each character on an average basis? Does it differ from character to character? SB: Every character is its own animal – literally and figuratively. (Both laugh.) I play so many different kinds of characters in so many different mediums, I have to treat each one as a standalone no matter how small the character is. If I am going in as Soldier A, I want to make sure that he (or she) is the most believable character I can, at least until he (or she) gets offed in the first episode. Unfortunately, for most roles, there is NO time for crafting. They hand me a sheet of paper and say go. Most of it is instantaneous and from the gut. Rebels is unusual in that we had the luxury of working with these characters, defining and redefining them so they truly support the story. That is very rare and deeply appreciated. But no matter how little prep or screen time a character receives, they all become part of me and I treat them with equal importance..
AE: Switching to fatherhood now, what are some of the core values you looked to instill in your children as they grew up? SB: One of the first things that I have always told my kids, is to do what they love and really explore that as deeply as they can. I remind them often to breathe. In this society with all the distractions and everyone’s opinions swirling around us, we tend to get caught up in it all. When things get crazy, I just tell the kids to take a moment, breathe and know that everything is okay…to find time to relax and enjoy life. Moments are precious. The other thing that I have always tried to instill in them is that people’s opinions of them are significantly less valuable than their own opinions of themselves. And that they are worthy and have a purpose on the planet. I encouraged them to make every effort they can to “pay it forward.” When they have some sort of modicum of success, they should always give back in some way. Empower others, and celebrate other’s success even if they are your competitors. And perhaps most importantly, to have fun and live in gratitude. AE: How do you balance work and family? SB: It’s easier now. My kids are grown up. My youngest is 21. So they are kind of off on their own doing their own thing. Back in the old days it was pretty tough. My oldest, Jeremy, was really the only one who was around when I was just getting into voiceover. I would actually throw him in a backpack and take him with me to auditions. He loved it. Everyone else loved it too. It probably booked me some work just because he was so cute at that time. These days it is so much easier. I have three boys. They are all men now. My balance with them is just staying in touch with them as much as I possibly can. I do a lot of conventions around the world. I try to take them with me if I can at least once a year. That keeps us together too. The biggest challenge at this point is coordinating all of our busy schedules! SB: (Laughs.) Probably the same thing I used to tell my kids. Breathe. (Both laugh.) I used to be terrified as a new dad. I remember looking in on them when they were sleeping and just making sure that they were still alive. That terror is really unnecessary. Just relax into it. Enjoy every minute of it especially when they are little, because that fleets so quickly. AE: What is your favorite family movie that you guys like to watch together? SB: We used to love The Goofy Movie. We would sit and watch that together. Later on when they could handle the language we would watch movies like Zoolander and Office Space. Their sense of humor is happily as sick as mine. AE: Do you guys have a favorite song that you all like to dance to? SB: We’re not big dancers in my family. We would listen to a lot of Beatles stuff though – especially John Lennon. I have always had the hippie mentality of peace and love. “Imagine” was and is kind of a musical mantra. That is kind of where we started. In recent years acts like John Mayer, Coldplay and lots of Blues. We love sharing new music too – in a wide variety of genres. SB: (Laughs.) Oh that is funny – because my kids are very different. Two of them love the beach. But one of them doesn’t like boats! All of them love conventions. I think our favorite trip together was Star Wars weekends in Orlando or pretty much anything Disney related. I personally love to be outside in nature, so I forced those kinds of trips on them till they learned to love it too. Which reminds, me… we’re long overdue for a hike! AE: What was your favorite cartoon series when you were growing up? SB: Looney Tunes. Bugs Bunny is one of my heroes. Mel Blanc was the greatest ever. I think that is where it all started for me subconsciously. AE: Which character would you like to voice for your next project? SB: I don’t really look at the characters I haven’t voiced. I’ve been so lucky in my career that I simply take every day as a surprise and a gift. As long as I’m working, I’m a happy guy. I don’t lust after other’s roles. There are certain roles that I haven’t booked in the past, but my friends did. They did a better job than I could have done anyway. I honestly don’t look in that direction. I prefer to stay in the present as much as possible. 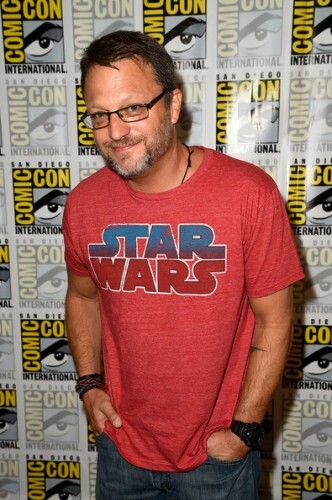 Follow Steve Blum on Twitter @blumspew and his website http://www.steveblumvoices.com/.